Baghouz (Syria) (AFP) - The Islamic State group launched three suicide attacks outside their last redoubt in eastern Syria Friday, killing six people among those fleeing the crumbling jihadist bastion. They were the latest casualties in Syria's devastating civil war, which entered its ninth year on Friday with 370,000 dead. 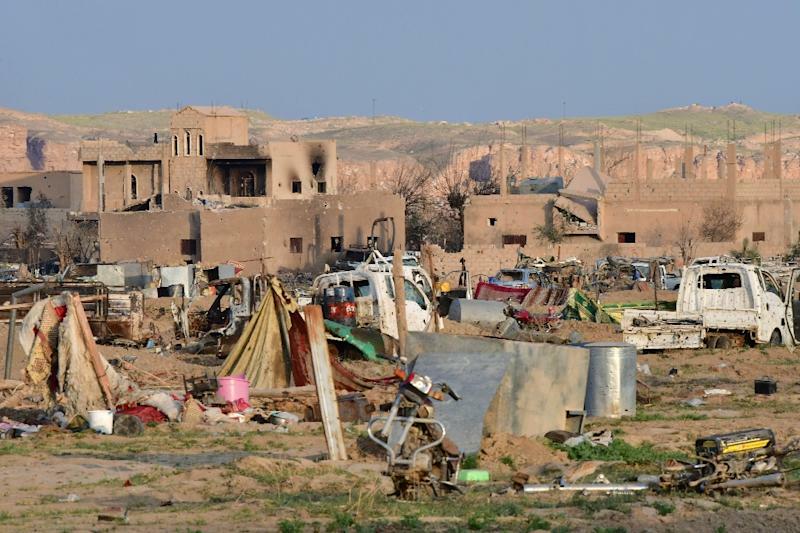 All that remains of a once-sprawling proto-state that the IS jihadists declared in 2014 is a battered riverside camp in the village of Baghouz near the Iraqi border. The Kurdish-led Syrian Democratic Forces, and warplanes of a US-led coalition backing them, have rained fire on the enclave since Sunday, blitzing thousands of IS members into surrender. The exodus of veiled women, dusty children, and wounded men had been peaceful in recent days. But on Friday three suicide bombers blew themselves up on the way out, an SDF spokesman said. "A suicide bomber hid among those fleeing and blew himself up, killing at least six of those who wanted to get out" of Baghouz, Jiaker Amed said. Two others blew themselves up near SDF positions, causing only light wounds among the fighters, he said. Before the attacks, SDF spokesman Mustefa Bali said "a large number" of IS members had surrendered to the US-backed forces. Earlier in the day, Amed said SDF fighters were consolidating their positions as they expected more people to stumble out. It was however unclear how many remained inside. "There are a lot of suicide bombers but there are also families and children," he said before the attacks. The front was largely calm earlier in the day. A reporter heard intermittent gun and artillery fire and war planes overhead. Dozens of metres from what remains of the group's embattled encampment, she saw tents and scorched cars, but no human movement where a week before there had been people. Since the months-old SDF offensive resumed on March 10, more than 4,000 suspected IS members and their relatives have surrendered, according to the SDF. More than 61,000 people have streamed out of IS-held territory since December, the Britain-based Syrian Observatory for Human Rights says, a tenth of them suspected jihadists. These include the wives and children of alleged foreign jihadists, hundreds of whom are being held by the Kurdish forces. France said Friday it had repatriated five orphaned children -- aged five or under -- from these camps. "The decision was taken in view of the situation of these very young children, who are particularly vulnerable," the foreign ministry said. The International Rescue Committee says 120 people -- mainly young children -- have died on their way to the main Al-Hol camp or after arrival. An IS propaganda outlet said French jihadist brothers Fabien and Jean-Michel Clain had both been killed in air strikes. The coalition declared the former dead last month, and the latter's wife earlier in March said he had been killed. Eight years of war in Syria have left more than 370,000 people dead including 112,000 civilians, the Observatory said, raising its last toll of over 360,000 issued in September. The monitoring group, which has a network of sources across Syria, said that more than 21,000 children and 13,000 women were among the dead. 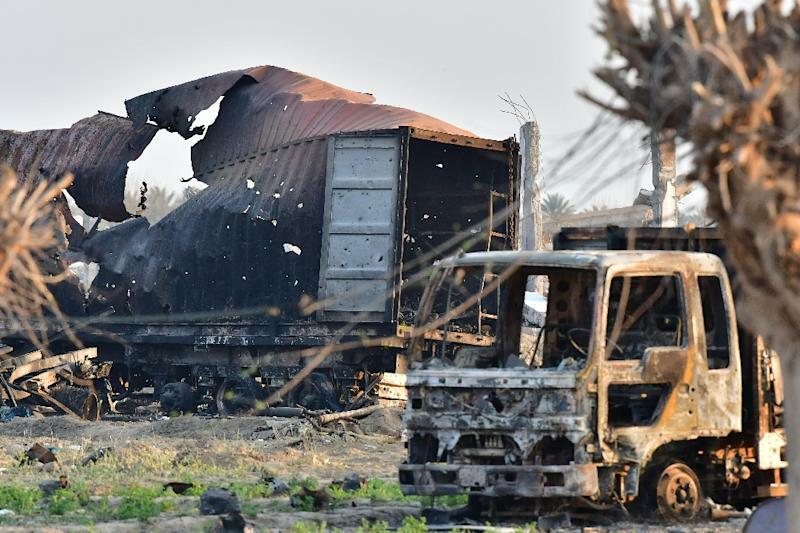 It said 67,000 of those killed were other fighters including rebels and Kurds. A further 66,000 were jihadists, mainly from IS and Hayat Tahrir al-Sham (HTS), dominated by Al-Qaeda's former affiliate in Syria. The devastating conflict has displaced or sent into exile millions of Syrians, and cost almost $400 billion in damages, according to the United Nations. With the support of powerful allies Russia and Iran, President Bashar al-Assad has won his war for political survival but his country is fractured and cash-strapped. He now controls almost two-thirds of Syria's territory.